Chinese gaming company The9 put its name on the map by localizing a number of massively multiplayer online role-playing games (MMORPGs), including Blizzard’s World of Warcraft blockbuster, for the Chinese PC gaming market. Now it’s taking a two-pronged approach to growth by targeting emerging mobile platforms in China and PC online games overseas. The Shanghai, China-based company draws its name from its belief that online gaming constitutes a new ninth art on top of the eight classic Chinese art forms. The company was formed in 1999 and began as an early social network-style community before pivoting into online games. In 2002, The9 brought MU Online, an MMORPG by Korea’s Webzen, to China. 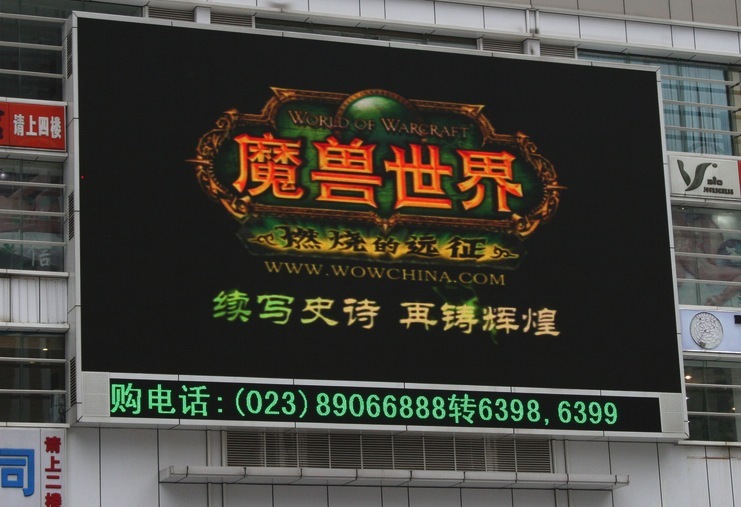 Three years later, it made droves of Chinese gamers happy by bringing World of Warcraft (WoW) to the world’s most populous nation. WoW went on to become a huge hit in China. The9’s competitor NetEase eventually took over the licensing responsibilities for the title in 2009. In March, NetEase re-signed a deal with Blizzard, which is struggling to keep WoW subscriptions up, to extend their partnership for another three years. The Chinese government’s relationship with video games has been a rocky one at times, but the local gamers have proven to be faithful customers, with 64 percent of them spending money each month on the hobby. Local regulations limiting foreign investment have given domestic companies like The9, Yodo1 and NetEase lucrative opportunities to bridge the gap between Western game publishers and developers and Chinese gamers. Government restrictions haven’t stopped foreign companies from entering the market, though. For instance, South Korea’s Neowiz Games recently announced plans to focus on the Chinese mobile market. In fact, the regulations may have actually helped the PC game market mature in China, since the importation of gaming consoles like the Xbox 360 or the PlayStation 3 is restricted. The9’s mobile business unit, which was created in 2010, has three areas of focus: platform, product and publishing, according to division head Chris Shen. At least for now, the company plans to target mobile customers located within China. “We are focusing on the domestic market [for mobile] right now, because it’s still in the initial stage,” Shen said. To create a platform, the company cooperated with gaming social network OpenFeint to release a localized version called The9 Game Zone in April 2011. The service now has 12 million registered users. In addition to licensing games from developers, The9 also takes an active role in game production with in-house development studios that produce mobile games. On the publishing side, The9 has ties to 80 of the almost 200 domestic distribution channels for Android apps, giving its partners access to 80 percent of total user downloads for the operating system in China. The company has licensed more than 800 titles from developers, with half coming from overseas and half from domestic studios. Some of the freedoms that the mobile gaming market may not be permanent, though, as its success appears to have drawn the attention of authorities. “It seems the government is now paying attention to mobile games because it’s a trend that is growing very high so maybe in the future there will be some regulations,” said Shen. Android has been a huge growth story in China, but monetization is a continued issue. According to Shen, The9 puts “more weight” on the Android platform because of its larger user base, but it has also found that currently it is “not easy” for games to become profitable on the operating system. “iOS users are more willing to spend money on pay per download or micro transactions, while Android users are not as willing to pay. At this moment, we recommend that Android partners use in-game advertising as their revenue source,” he said. Apple does appear to have its own monetization issues for iOS in China, though. A recent report from Stenvall Skoeld found that China accounts for 18 percent of downloads on the App Store, second only to the US, but it brings in a paltry 3 percent of revenue. Although The9 has enjoyed plenty of success with the PC online game market in China, Shen says it has run into a “bottleneck” for growth and has begun looking overseas for other opportunities. Last year, the company bought a majority stake in American studio Red5, which is developing a multiplayer online first person shooter called Firefall. The game is already in a large-scale public beta and is scheduled for a North American release later this year. Firefall will be marketed as a “global game,” so it is expected to eventually make it to The9’s home country. The game has already been licensed in Southeast Asia and Taiwan to Singapore-based Garena. Shen says the $23 million deal is a “historical price/fee” for American-style PC online games. The executive went on to note that, in the future, The9 plans to continue making use of an “M&A strategy” for game development in new regions. “Game development won’t be limited to just domestic markets, but it’s important to develop the market” in other countries, he said.